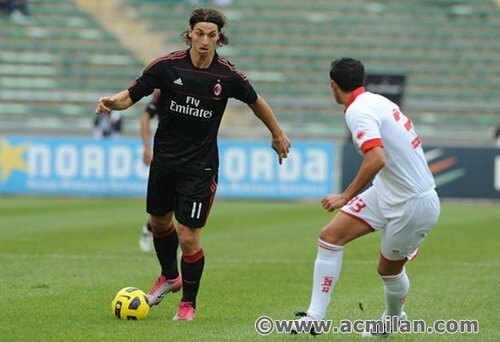 Ibrahimovic...(Bari-Milan 2-3). . Wallpaper and background images in the Zlatan Ibrahimovic club. This Zlatan Ibrahimovic photo might contain ballon de football, ballon de soccer, fullback, bourreau, centre-arrière, and joueur de foot.